Bulgaria ranks second among the European Union Member States by the production of electric energy with a 7.5% increase. The number one spot is taken by Greece with 12.2%. Poland (3.1%), Slovakia (2.3%) and the Czech Republic (2%) also register an increase. 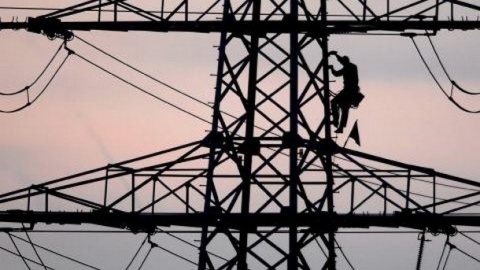 Bulgaria's gross production of electricity in April 2012 is 3 560 GWh, while the net one is 3 231, according to data from the National Statistics Institute, NSI. Import of electricity in April is about 100 GWh, while export - 800 GWh. NSI registers a 2 563 GWh net consumption of electric energy in April. The share of the renewable energy sources in the gross end-consumption of electricity is about 14% annually. After a significant increase in electric production in the EU in 2010 - by 4.5%, there has been a reduction of about 0.6% in 2011, data from Eurostat, the statistical office of the EU, reveals. The electricity generated by nuclear power plants and its share stayed stable between 2010 and 2011.The largest share of electricity generated by nuclear in the 14 EU Member States that have nuclear facilities to produce electricity can be found in France (78.0 %), followed by Slovakia (55.3 %), Belgium (54 %), Hungary (43.5 %), Sweden (39.6 %) and Slovenia (39.5 %). Germany that has decided to close down its nuclear power plants during the next decade has a share of 17.7 %. In 2011, the aggregated EU-27 imports and exports of electricity are nearly identical. When looking at supply statistics at national level, the largest increases could be observed in Greece (+6.3 %), Slovenia (+3.3 %) and Lithuania (+2.8 %). In Turkey, the supply increased by 9 % compared to 2010. The largest decreases in supply figures were observed in Cyprus (-6.7 %), France (-6.1 %), Estonia (-5.6 %), Sweden (-5.4 %), Portugal (-4.7%) and Belgium (-4.6 %).